The effectiveness of PEST analysis as an effective management tool in strategic planning and providing direction for future growth of business is the fundamental of the various parts of this presentation. The necessity to analyze various change forces to decide the present conditions and future trends through PEST is brought out thoroughly. PEST analysis is en effective tool to measure the external macro-environmental changes due to political, economic, social, and technological factors. PEST analysis is generally combined with SWOT analysis, which focuses on the strengths, weaknesses, opportunities, and threats. When legal, environmental/ecological, ethical, and demographic factors are included in PEST, it is termed variously as SLEPT, PESTEL, STEEPLE, STEEPLED, etc. 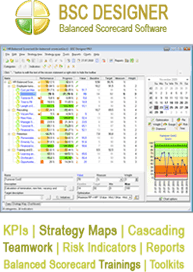 All the criteria that involve the above change factors are evaluated step-by-step in PEST analysis for maximum results. When legal, environmental/ecological, ethical, and demographic factors are included in PEST, it is termed variously as SLEPT, PESTEL, STEEPLE, STEEPLED, etc. The key reasons for success of PEST are its ability to provide exact evaluation of the macro-environmental changes. Sony Corporation, TESCO, and Accor Hotels are some examples of business organizations that had benefited significantly from PEST analysis. 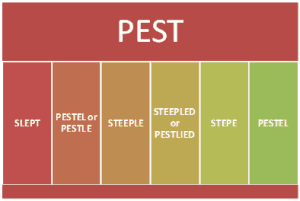 In spite of its several merits, PEST has limitations if inadequate data is considered for analysis. The key reasons for success of PEST are its ability to provide exact evaluation of the macro-environmental changes. The definition of PEST, procedures of preparing PEST analysis, and advantages and disadvantages of PEST are the most frequently asked questions. Any checklist of PEST should consider all the factors that have a direct bearing on the operations of the organization. Five Forces Model of Porter and Change Management are the other tools considered with PEST and SWOT for maximum benefits to the company. The first part of the PEST Guide presents an introduction to PEST analysis and its effectiveness as a management tool to estimate business potential, present status, market direction, and future operational decisions, based on external macro-environmental changes related to political, economic, social, and technological factors. PEST analysis helps the management in strategic planning to adapt to these external changes. The next part illustrates the importance of SWOT analysis, an evaluation of the strengths, weaknesses, opportunities, and threats that are encountered by the business organizations. Usually, PEST and SWOT analyses are used in combination to achieve greatest advantages to growth of business. PEST analysis concentrates on external change factors, while SWOT focuses on internal factors that impact the business. The variations of PEST analysis, such as SLEPT, PESTEL, STEEPLE, and STEEPLED are derived by adding the legal, environmental/ecological, demographic, and ethical factors to the basic PEST factors. Even though many organizations consider these additional factors as separate criteria, in majority of PEST analyses, these extra factors are also effectively covered by the basic PEST itself. 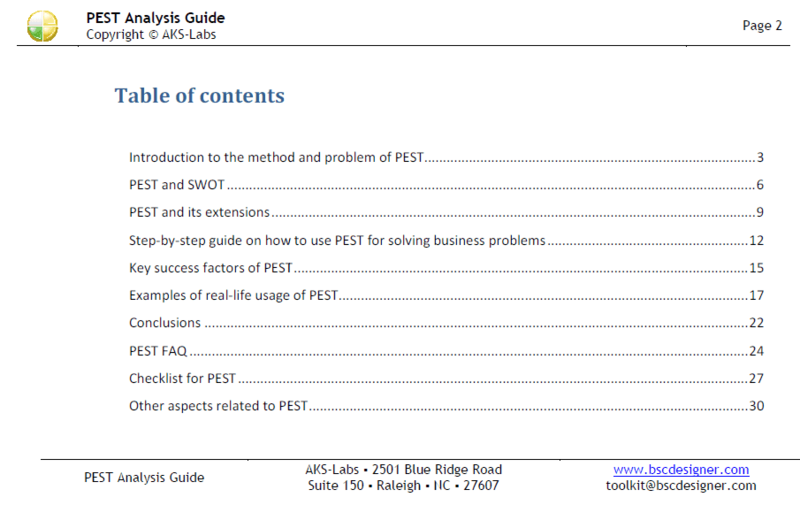 The subsequent part considers the step-by-step analysis of using PEST in solving business problems. This type of analysis helps the management in understanding the market influencing forces, in taking right decisions on the market potential, and in devising proper strategies to direct the future operations of the company in the most efficient manner. The success of PEST analysis is discussed in the next part by elaborating on its ability as a strong management tool to evaluate the external change forces and understand the various facets of the operating environment of the company. PEST helps the management in developing required strategies to seize upon opportunities and to counter threats to business. The experience of Sony Corporation, TESCO, and Accor Hotels in the global market and their business improvement by proper implementation of strategies developed through PEST analysis are discussed in detail in the following part as real-life examples of the effectiveness of PEST as a powerful business tool in fueling smooth growth and direction to business ventures. The next part provides conclusions about PEST analysis by bringing out the advantages of PEST to the management in identifying change factors and countering them with suitable strategies. At the same time, the limitations of PEST due to inadequate data and irregular periodicity are also explained to avoid mistakes in implementing PEST. 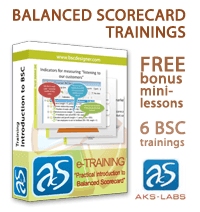 Frequently asked questions such as, what is PEST analysis? what is the procedure for preparing a proper PEST analysis?, and what are the advantages and disadvantages of PEST analysis are taken up in detail in the following part, with complete explanations and answers for these questions to highlight the importance of PEST to management in strategic planning. The detailed checklist of various criteria of PEST related to political, economic, social, and technological factors is clarified in the next part. The importance of analyzing each factor separately along with its relational influence on other factors is emphasized to make crucial business decisions and strategic planning for sustained business growth. The importance of including other analytical tools like the Five Forces Model of Michael Porter and Change Management, along with PEST and SWOT analyses is the subject matter of the concluding part. 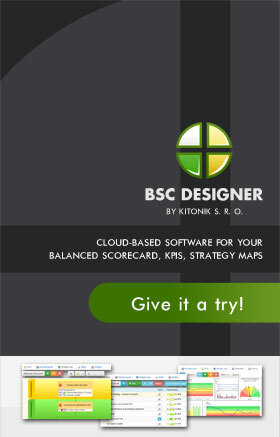 The assured success of a business that utilizes all these tools effectively is quite clear from the effect of each tool in decision making and strategic planning.